Creamy, thick, luxurious, kissed with a hint of natural sweetness, and fresh with a slightly nutty flavor, clotted cream is what you might imagine to be the perfect, beautiful child of freshly whipped cream and grass fed butter. There are a handful of foods in this delicious world of ours that are legend worthy. Classic dishes that are cherished far and wide, yet so deeply associated with a location that our minds instantly envision that place with just a mention of the name. We swoon, reminiscing about that perfect day in that perfect place where we first had a taste. And if you are anything like me, you will obsess for months, or even years on end, trying to recreate that perfect dish at home. Clotted cream is one of those foods for me. I had heard of clotted cream, and knew it to be adored by many, both in its home country of England and abroad. But here in the US (at least in my area), clotted cream is almost unknown. I was lucky enough once to sample a spoonful from one of those exceptionally expensive jars that are occasionally available on specialty food shelves during the holidays – it was good, but not divine. And how could it be, really? Preserved, packaged, and shipped half way around the world to sit on a shelf for weeks – no, this was not the stuff of legends. Sipping my Earl Grey, I slathered a spoonful of the wonderfully gooey cream on a freshly baked scone, and tentatively took a bite. Cue the heavenly music! I had found it! THIS was the clotted cream of legend! Creamy, thick, luxurious, kissed with a hint of natural sweetness, and fresh with a slightly nutty flavor. It’s what you might imagine to be the perfect, beautiful child of freshly whipped cream and grass fed butter. All that remains of my fresh scone with clotted cream at the British Museum! Apparently I was too excited to try it to snap a picture before hand. Rest assured that remaining bit of clotted cream in the background was consumed with gusto! When I returned home to my clotted cream bereft Pacific Northwest, I promptly began researching how to make it in my own kitchen. Two years later, and I think I’ve finally found the perfect method! I’ve tried the oven method so popular across the internet. It’s good, but leaves too much of a hard, chunky crust for my taste. I’ve also tried the stovetop method that requires skimming the top layer of clotted cream off the liquid every so often for hours on end. Again good, but I seem to get inconsistent results, and who wants to stand at the stove all day long, anyway. Finally I started researching the historic methods, and discovered an old article published in the Journal of Dairy Science, Volume 1: May, 1917 to March, 1918. (You know you are a food nerd when your research leads you to a dairy science journal from 100 years ago!) The article is by Wilfrid Sadler, of the Dairy and Bacteriological Laboratories, at Macdonald College in Quebec, Canada. Mr. Sadler set out to convince dairies in Canada and the US that making clotted cream would be good business. So sad for us here that he was unsuccessful in his attempt! In his proposal, Mr. Sadler was extremely thorough in his research of traditional clotted cream production. He even went so far as to scientifically test different preparation methods, explaining each in great detail. However, due to widespread, and perhaps unfortunate, changes in the way milk is produced, most of us won’t be able to follow his methods precisely. Even so, thanks to his fascinating exposition, I was able to uncover a method of making clotted cream that will work with modern diary products in a modern kitchen. Thank you, Mr. Wilfrid Sadler! By the way, his article is really quite interesting (at least if you’re a food nerd like me). If you would like to give it a read, you can find a copy online in Google Books at TasteOfThePlace.com/JournalOfDairyScience_ClottedCream. My version of clotted cream is thick, spreadable, and deliciously gooey – just like that tiny little, heavenly jar I savored at the British Museum; it has a hint of that wonderfully crinkly, craggly skin that many people look for in authentic clotted cream; and the color is a lovely white, with just the tiniest hint of pale yellow. After heating the clotted cream, you can expect it to develop a wrinkly, pale yellow skin. Not very pretty, but exactly what you want. At this point, everything will still be very thin and liquid-y, making you think the clotted cream has failed to form. But don’t worry! All is well, and the clotted cream will form after a night’s rest in the fridge. By the way, this recipe comes straight out of my new cookbook, Taste Of The Place, authentic recipes from real kitchens around the globe! 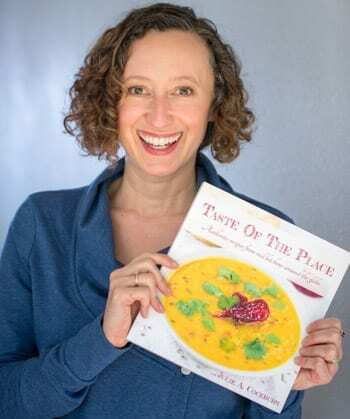 If you would like to learn more about the book, hop over to Tasteoftheplace.com/buythecookbook. The outcome of your clotted cream will be entirely dependent on the quality of the cream, specifically the heavy cream, that you start with. Really, really truly. Choose the wrong heavy cream, and you simply won’t get any clotted cream for your efforts. If you are lucky enough to have a dairy cow, or have access to unpasteurized, raw heavy cream – perfect! I am not so lucky. If you are like me, look for heavy cream (sometimes called heavy whipping cream), with at least 35% butterfat, NOT ultra-pasteurized (pasteurized is OK), with no stabilizers. Unfortunately, that means many of the organic brands of heavy whipping cream are out. For some mystifying reason, all too often they ultra-pasteurize their cream, and stabilize it with oddball gums and the like. No good for making clotted cream. The best choices in my area are the Trader Joe’s brand Heavy Whipping Cream (they carry several lines, so look for one that is pasteurized only, NOT ultra-pasteurized), and the Straus Family Creamery Organic Whipping Cream. If you happen to live in Central Oregon, the Eberhard’s Dairy Heavy Whipping Cream is perfect. A double boiler, or better yet a sauce pan and a wide bowl. I like to use a medium to large metal mixing bowl set on top of a medium sauce pan. 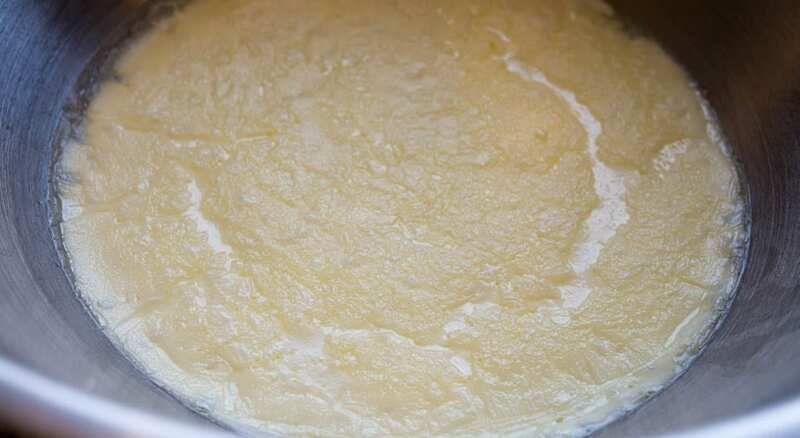 Just be sure to use a wide enough bowl that your heavy cream has a lot of surface area while it is heating. My fancy double boiler is just a mixing bowl set on top of a sauce pan with some water in it. Update on my new probe thermometer: I LOVE it! Not only does it work like a charm for making clotted cream, but it works perfectly for roasting meats in the oven, or monitoring a temp while cooking. 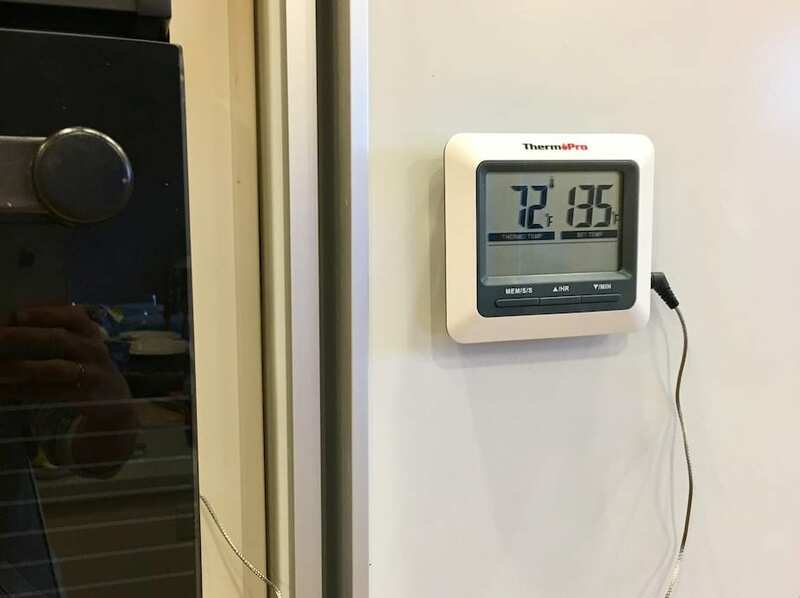 It even has a magnet on the back, so I can put the probe in something in the oven (like a piece of fish or a roast), run the wire out the door (it’s a flexible wire designed for this purpose), and stick the thermometer on the fridge while it does its job. Perfect! Other than eat it by the spoonful? Spread it on scones, of course (grab my recipe HERE)! Clotted cream and British style scones go hand in hand. 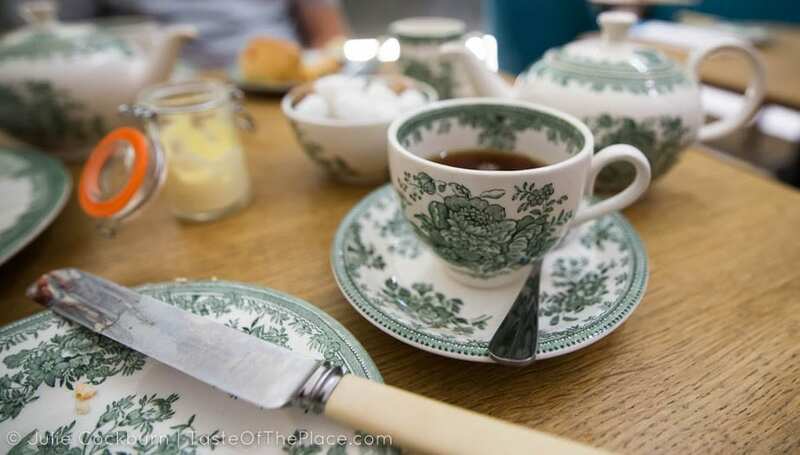 Few things are as lovely or luxurious as a traditional cream tea on a lazy afternoon, enjoying a simple pot of tea, accompanied by scones, jam, and clotted cream. Divine! 16 ounces (1 pint) heavy cream - Do NOT use ultra-pasteurized heavy cream. Use only pasteurized or non-pasteurized heavy cream or heavy whipping cream, with at least 35% butterfat, and no additives. In the base of a double boiler or medium saucepan, bring an inch or two of water to a simmer. Adjust the heat so the water is at the barest simmer. Place the top of the double boiler or a wide glass or metal bowl on top, ensuring the bowl isn't touching the simmering water. 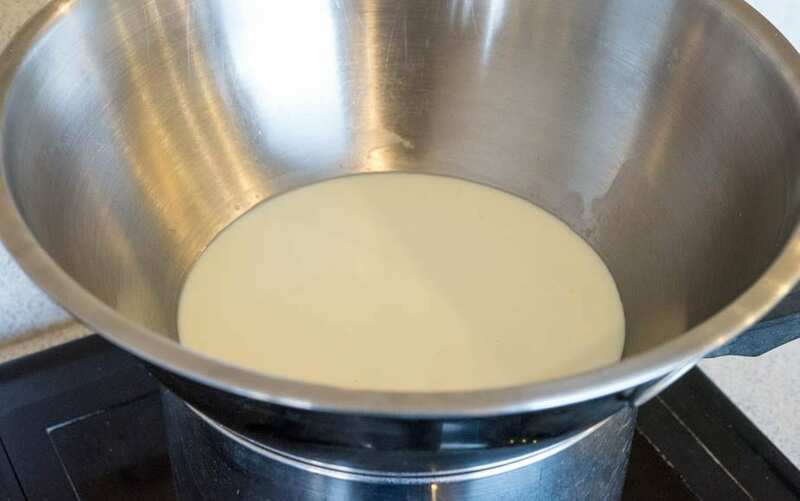 Gently pour the heavy cream into the bowl, and position a probe thermometer into the cream, avoiding touching the bottom of the bowl with the thermometer. DO NOT stir the cream at all, ever, even once during this process. Gently heat the cream, uncovered, without stirring, to exactly 187°F. It will generally take between 30 minutes to an hour to reach 187°F. At this point, the cream will have a slightly wrinkly, yellowish skin on top. It will also look thin and liquid-y, and you'll think that your clotted cream has failed to form. Don't worry, it will thicken after refrigeration. Carefully monitoring the temperature, hold the cream between 180°F and 199°F for 30 minutes, ensuring the cream never comes to a boil. After 30 minutes, carefully, so as to not burn yourself, remove the bowl with the cream from the saucepan. Avoid pouring, jostling, or swirling the cream. Allow it to come to room temperature, then place in the refrigerator, uncovered, for 8 hours. You didn't stir it, right? After about 8 hours, a thick layer of yumminess will have formed on top of a thin liquid. That thick layer is your clotted cream. Did I mention that you shouldn't stir it? You can scoop the deliciousness off with a slotted spoon, leaving the liquid behind, or pull back a corner of the thickened cream and pour the liquid into another container, leaving the clotted cream behind. Don't throw out the liquid-y bits. Stir it into coffee or tea, and use for baking. Extra bonus if you use it for baking scones! 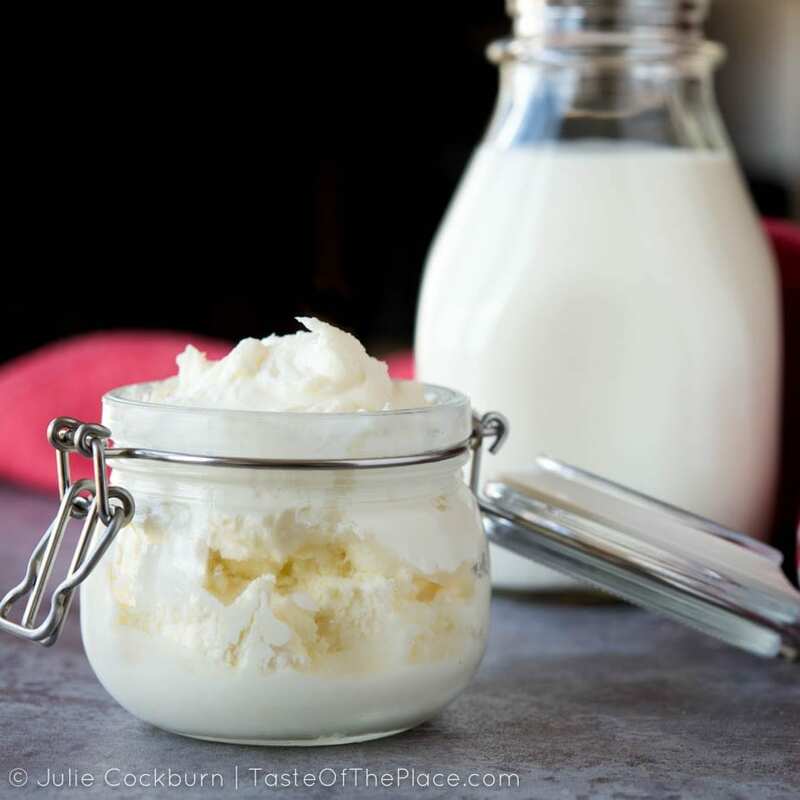 Transfer the clotted cream to a glass jar, and store in the fridge until ready to use. It will generally last for a few days - that is if you don't eat it all by then! Ultra-pasteurized cream will NOT do. Use only un-pasteurized or pasteurized heavy cream, with at least 35% butterfat, and no additives. 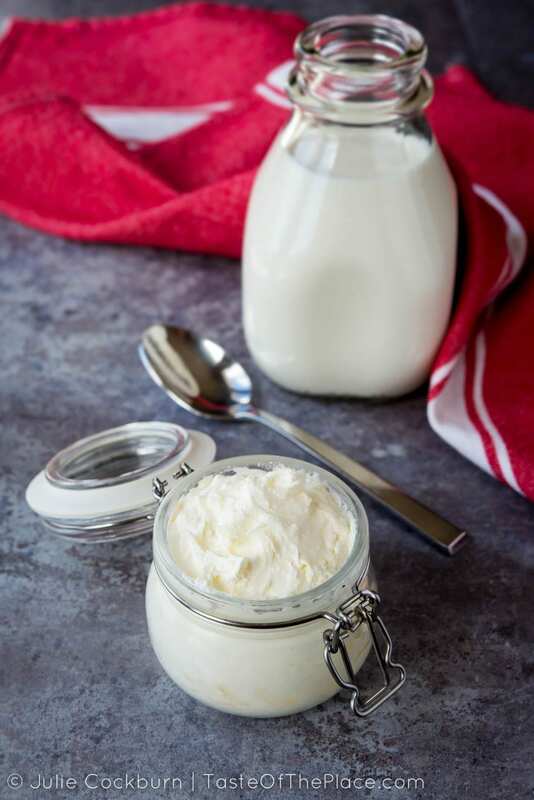 To make the clotted cream, you will need a probe thermometer, plus a double boiler or a medium to large metal or glass mixing bowl set on top of a medium sauce pan. Just be sure to use a wide enough bowl that your heavy cream has a lot of surface area while heating. DO NOT stir the cream at all, ever, even once during this process. A few gentle sloshes here and there while you move the container are OK, but stirring or swirling to incorporate the cream is not. 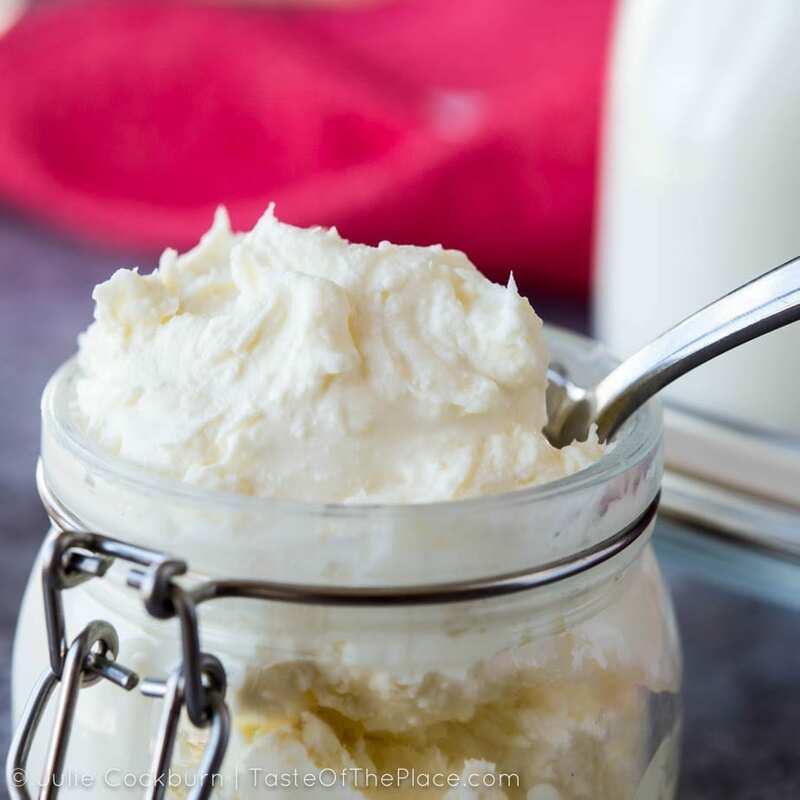 You should expect to get a little less than half the volume of clotted cream than the volume of heavy cream you started with. So if you start with 16 ounces of heavy cream, expect about 6 ounces clotted cream. Thank you so much for your article on Clotted Cream, it was of enormous help to me in my quest to make home-crafted clotted cream in the Philippines. I followed your research and downloaded the Wilfrid Sadlep paper, what a great read! Such a pity his research was not followed back them. My passion is farm to table fresh home baked goods, with scones (English style) being one of my most popular items. As most of my customers are Filipinos who have experienced real English scones with clotted cream, I am constantly asked where to purchase the clotted cream for the scones they buy from me. Now I can offer Madge’s Clotted Cream. 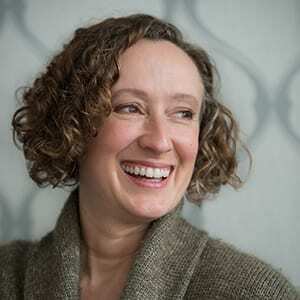 Proprietor of Madge’s Crumpets, Cookies and Confections Inc. I love this story, Margaret! Thank you for sharing your experience. Mr. Sadler’s paper is a gem, isn’t it!? I’m glad my article and his science have helped you create Madge’s Clotted Cream. I wish I could hop over to Madge’s Crumpets, Cookies and Confections to share a cup of tea, and a scone and cream with you. Perhaps someday! You would be warmly welcomed in the Philippines! Awww, you’re sweet Margaret! And you would be welcome with your scones and clotted cream here in Washington state anytime! Loved reading about clotted cream. It is pretty amazing that you went back 100 years to dust off an old article! Thank you! Researching the history of these older recipes is so much fun!